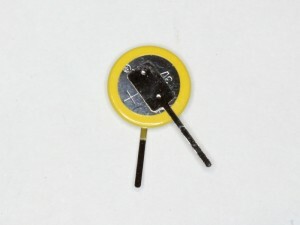 This deficiency can be overcome to some extent for some applications with the fake-hwclock module and SNTP, but this is not a solution if the RPi is not always connected to a network time reference. 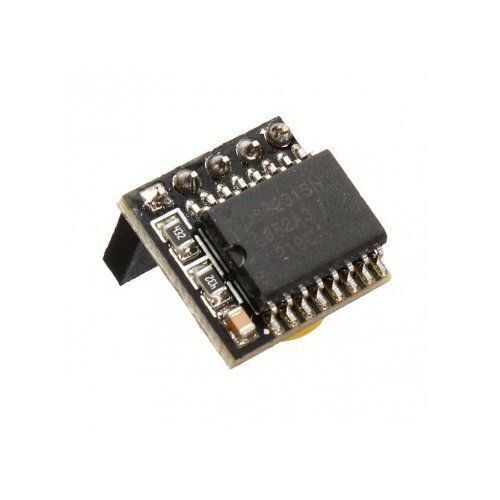 One solution is a real time clock module such as the DS1307, or better still the DS3231. The latter has an internal crystal with 2ppm (5s/month) accuracy from 0-40° which is much better than typically achieved with a DS1307 (which is dependent on the external crystal). The first seven registers are identical, and there is no reason for Linux drivers to use register 0x07, so the DS3231 should be compatible with those drivers. Experience is that the DS3231 works fine with the DS1307 drivers. Above, a DS3231 based RTC purchased for $7 (incl post) on eBay. It is designed for the RPi, and plugs onto pins 1,3,5,7,9 of the GPIO header pins. The battery is barely visible underneath the board. Note that deceptive Chinese sellers seem to often be supplying these things without a battery even though their pictures prominently show a battery. Ebay does not consider this a violation of their policies if the seller states somewhere that the battery is not included. The batteries are quite hard to source in Australia, but you can buy them in lots of 10 from Aliexpress… or just buy the whole thing with battery from Aliexpress. Be warned! Load the module for test (sudo modprobe i2c-bcm2708). Notify Linux of the RTC device (echo ds1307 0x68 | sudo tee /sys/class/i2c-adapter/i2c-1/new_device). Test (with the clock on your RPi set correctly, do hwclock -w to set the RTC, and hwclock -r to read it back – remember the RTC granularity is 1s). For a R1 which has different pinout, at step 3 you will probably need (echo ds1307 0x68 | sudo tee /sys/class/i2c-adapter/i2c-0/new_device). Update 15/05/2015: The above procedure may not be necessary or even work on newer kernels, try “sudo raspi-config” and select advanced options for an option to enable the I2C interface. The following method adds a SysV init file that will load the RTC early in the boot sequence. Create a file /etc/init.d/ds1307 with a text editor and copy the following contents into it. Then set ownership and permissions (sudo chown root.root /etc/init.d/ds1307; chmod 755 /etc/init.d/ds1307). Reboot and you should see the RTC module activated early in the boot process in syslog. See the following example where the RTC is activated and the system time jumps. You will want to uninstall fake-hwclock. Note that if you uninstall fake-hwclock, it does not remove the file /etc/fake-hwclock.data, you should remove that by hand.